Butter Rum is a fusion of flavors that will make your mouth water. This delicious flavored coffee has a balance of flavor with buttery undertones, caramelized sugars, and sweetly spiced Jamaican Rum. 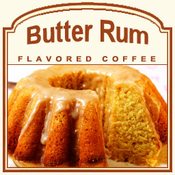 Non-alcoholic and full of flavor, this Butter Rum flavored coffee will hit the spot with its warmth and unique sweetness. A heat-sealed valve bag will ensure the freshest coffee possible � which is why we roast and ship on the same day. 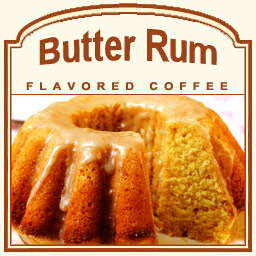 Let your taste buds bask in the buttery sweetness of the Butter Rum flavored coffee!